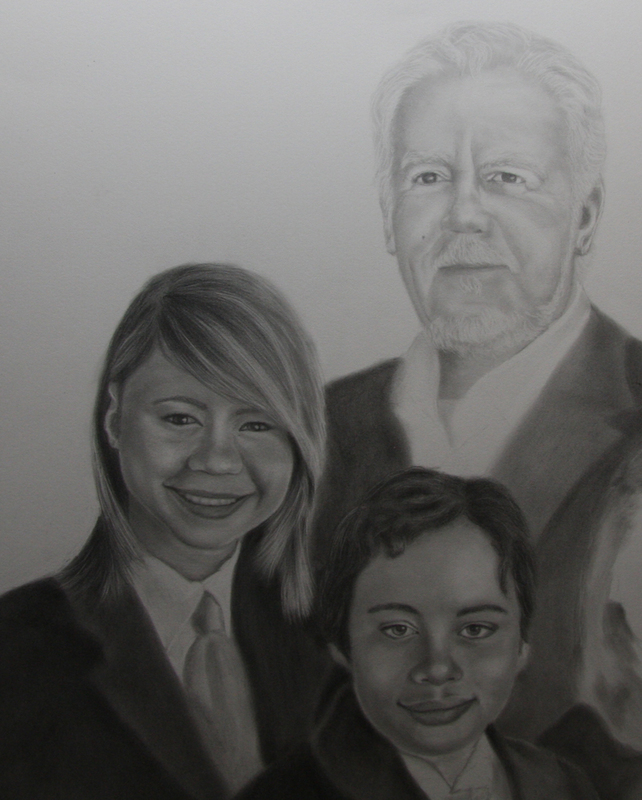 The features of the father's portrait are being slowly built up and refined. I am focusing mostly on the mid tonal values and will start to build up the darker and lighter values. Several more layers will be needed the build the form and each layer will refine his features further to build up the likeness. I blocked in the younger daughter so that I could build up his suite jacket with several layers of darker graphite without drawing around her hair. This will help her to settle into the suite rather than looking cut out. I have also pulled graphite into the other kids hair and will further lighten and darken their hair as needed.